I’m Atma Kaur Khalsa, a KRI certified KUNDALINI YOGA & MEDITATION teacher for adults and children, serving the Tidewater, Virginia area. MY ONGOING KUNDALINI YOGA & MEDITATION CLASSES and PRIVATE/HEALING CLASSES & SESSIONS are available for adults, teens, and children. 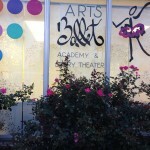 ARTS BALLET ACADEMY has an incredible selection of classes for children and adults in Ballet, Modern Dance, Musical Theatre, NIA, and Yoga. *FREE KUNDALINI YOGA & MEDITATION ebook that I personally recommend having had back surgery as a child: “HEAL YOUR BACK NOW!” by Nirvair Singh Khalsa who studied with Yogi Bhajan since 1971. He taught accredited classes in Kundalini Yoga at the University of Alaska Anchorage for 32 years. He is currently the CEO of the Kundalini Research Institute, and has authored nineteen videos and four books on Kundalini Yoga. ATMA KAUR KHALSA (Biology, B.S. ), has been enjoying teaching and practicing Kundalini Yoga and Meditation, as taught by Yogi Bhajan, since 1977, and has practiced yoga since she was 10 years old (1970). 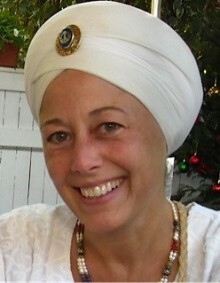 She is grateful to have personally trained with Yogi Bhajan since 1977. Atma Kaur is with IKYTA and is a KRI certified Kundalini Yoga teacher and graduate of the Radiant Child Yoga Program Levels 1, 2, and 3. She is a minister of Sikh Dharma and co-director of Guru Ram Das Ashram.